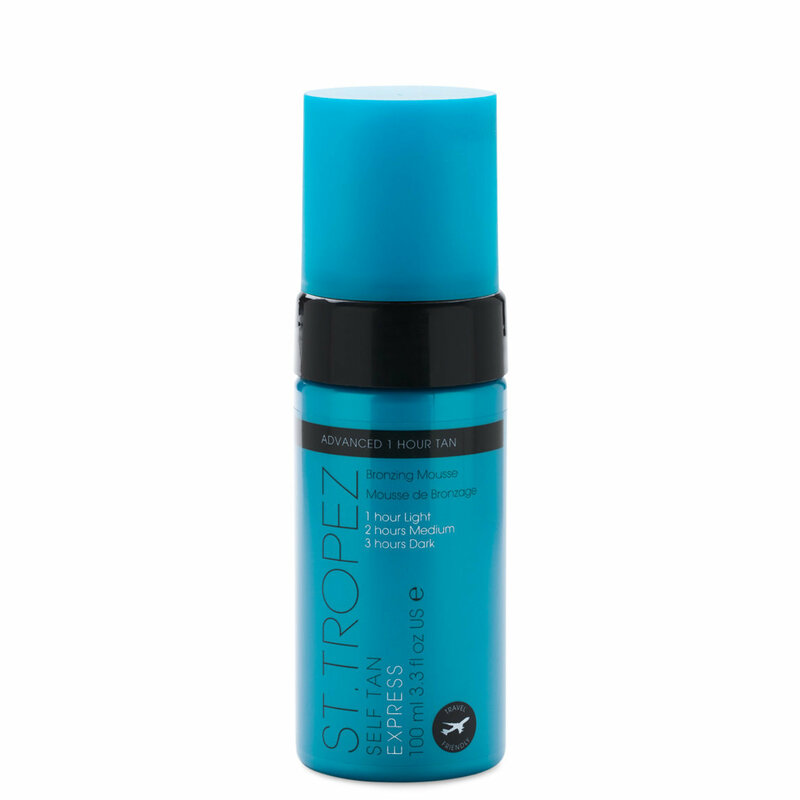 Control the depth of your tan with St. Tropez’s most advanced formula yet for a natural, healthy-looking tan that lasts for days. Wait just one hour before showering for a light sunkissed glow, two hours for a medium golden tan, or leave on for up to three hours for a deeper, darker bronze, to suit your skin tone. Exfoliate 24 hours prior to use. Immediately prior to application, moisturize any dry areas including elbows, knees, ankles, and feet. For best results, apply using our Tan Applicator Mitt in long sweeping motions, starting at the ankles and working your way up. Then for your back, turn the mitt back to front and start applying in the same way. Ensure all areas are covered before lightly gliding any excess tan from the Mitt over your hands and feet. Wait until touch dries before getting dressed. Allow 1, 2 or 3 hours depending on your desired shade, before showering to reveal your developed tan. Your tan will then continue to develop for up to 8 hours. To prolong and maintain your tan, moisturize daily, exfoliate regularly and reapply as desired.